Tablets With Keyboard: Which Product Is Best For Your Needs? Home Best of Tablets With Keyboard: Which Product Is Best For Your Needs? It has been nearly a decade since the release of the iPad, a device that paved the way for modern tablet computing. While the tablet craze seems to be fading from the original excitement that was in the air when they first saw widespread use, that is no indicator of the useful devices that are still on the market in 2018. Although not every person necessarily needs a tablet in their day to day life — particularly if they already own a laptop — those who do use tablets with keyboard swear by them. Some people had visions of the downfall of the personal computer and a rise of tablets in the future. That wasn’t the case for many reasons outside of the scope of this article, but one of the greater appeals of tablets as they began to flood the entertainment market was that they were not only compact devices, but versatile ones as well. For many, a tablet won’t replace their everyday devices like laptops, desktop computers, and smartphones, but it can serve as a dutiful secondary device. For instance, if you’re traveling, you may not have room to bring a laptop, but a slim tablet takes up virtually no space. If it’s pre-loaded with movies and other media, that long drive or long flight will be over before you know it, and you don’t have to sit crouched over your phone in an attempt to see what’s happening on the screen. For those who like to be more productive, tablets such as the ones that we will dive into during this article have associated keyboards for quick and on-the-go productivity. So what exactly do tablets with keyboard do? Basically, a tablet is a small personal device that has a touchscreen for interactivity. Generally, these devices are able to connect to the internet with a Wi-Fi connection, and some models can connect using a data plan, in much the same way that smartphones do. 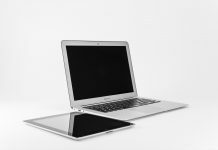 Typically, tablet screens range from 7 inches to 11 inches, which opens the device for options that require larger screens than smartphones, which still remain more portable and convenient than a traditional laptop. What Does This Type of Product Do? Tablets with keyboard are capable of doing a number of things. It can function as purely an entertainment device that you only use for watching Netflix or playing casual games from the app store. 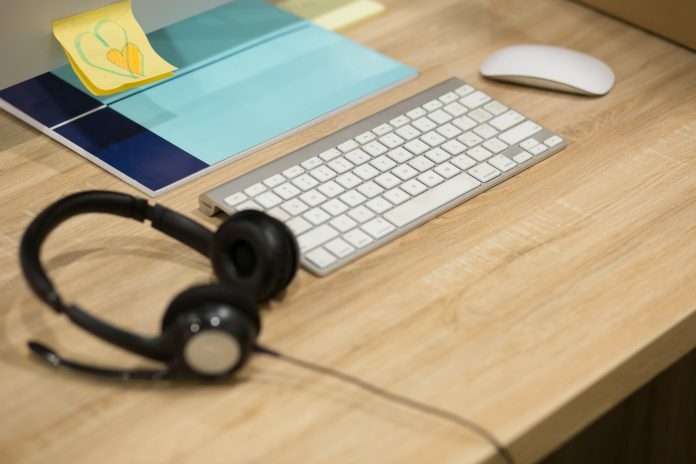 You can use it for taking care of urgent business on the go, as they are more than capable of handling simple tasks such as checking and sending emails. Many tablet computers are also equipped with both front- and rear-facing cameras that are perfect for video chatting with friends and family. Although you can take still photographs as well as video with your tablet, you would be better off capturing the moment with your smartphone, because it likely has a much better camera. 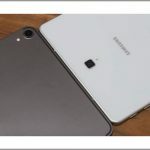 A tablet will also be great for those who mainly use their laptop or computer to only browse the web or to catch up on social media. Additionally, these devices typically come with external speakers as well as compatibility with headphones that utilize the auxiliary jack. Most tablets also offer Bluetooth support to connect any wireless headphones that you may own as well. Tablets work like a cross between your personal computer and your smartphone. Like with these devices, a microprocessor drives the tablet and operates as its brain. Again, like laptops and phones, the tablet will draw energy from a rechargeable battery that tends to last between eight and 10 hours. You may also find accelerometers and gyroscopes inside of a tablet device that allow your tablet to sense motion. These are taken advantage of by augmented reality applications, games, and more. A graphics process works to display all of the information on your tablet’s touchscreen while the flash-based memory keeps all of your data stored for quick access. On the subject of the touch screen, it is brought to life by its controller chip inside the body of the tablet that allows your tablet to recognize your touch. The screen will also either be resistive or capacitive. Resistive screens are able to detect input through pressure, and many resistive screens require the use of styli. Capacitive systems detect changes in electrical fields and don’t rely on pressure for input. Tablets are available in a wide variety of consumer electronics stores, as well as on the web from many online retailers. The cost of a tablet can vary greatly depending on the model and year that it was manufactured. However, the tablets that are found on this list have an average price of around $580. We believe that it is important to bring you honest and accurate information when it comes to the purchase of a new tablet with a keyboard, and as such, we believe that you should understand how our reviews are conducted. First, we begin by thoroughly researching the product down to its most minute product details, scouring the internet for feedback from customers who have already purchased and comparing these reviews with the specifications set by the manufacturer. Then, we compare these results with the information about a few of the product’s competitors in order to determine how it stacks up to the rest. The overall price range of tablets is wide. Some can be found for under $100 for the very basic tablet experience, while other more professional models can go for over $2000. 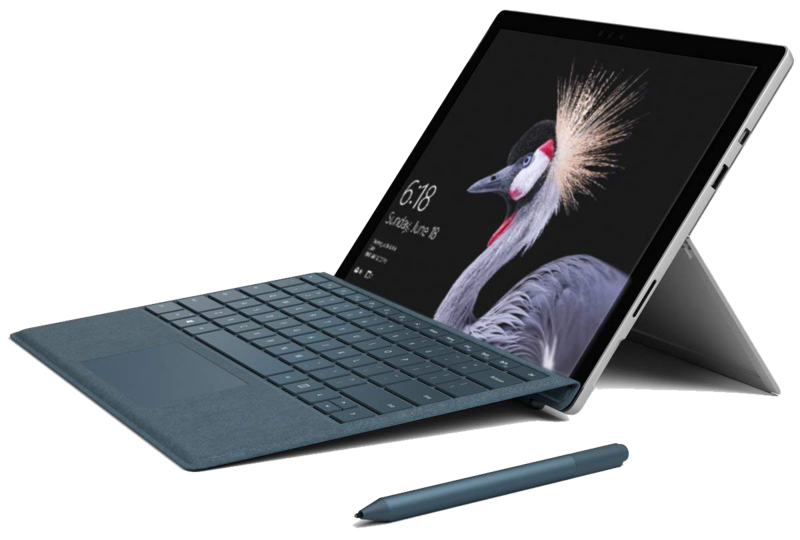 The Microsoft Surface Pro is equipped with a 7th generation Intel Core i5 Processor and has 8 GB of RAM with 256 GB of internal storage. You can expect 13.5 hours of battery life during video playback. 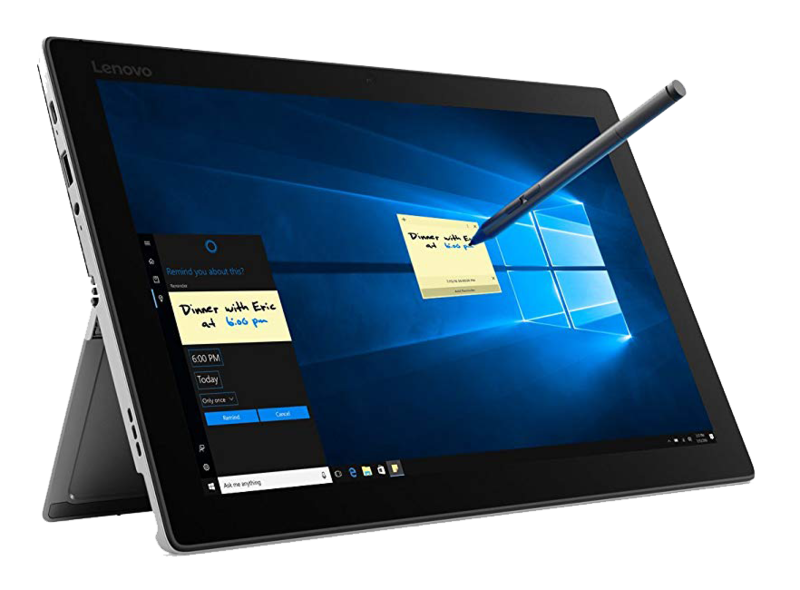 Additionally, the laptop-grade processor makes this one of the fastest tablets available from Microsoft. The Microsoft Surface Pro weighs in at just 1.69 lbs., making it an ultra-portable device. You can also stay connected with its Wi-Fi and Bluetooth capability. 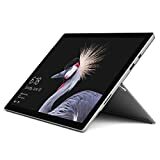 For those who are interested in a tablet for creating sketches, the Microsoft Surface Pro is compatible with the Microsoft Surface Pen, which is sold separately. The Lenovo Miix 520 is a tablet with a keyboard that detaches in order to provide a true laptop experience. This tablet includes an optional fingerprint reader for logging in, and the detachable keyboard is ergonomic and doubles as a folio case to protect your device. The device has a 12-inch screen with a high definition touch display. Dolby-enabled speakers give you the best sound experience when viewing any of your favorite TV or movies. Compatibility with the Active Pen 2 makes for great sketching that emulates that genuine pen-on-paper feel. some users have noted that the tablet feels heavier than others. 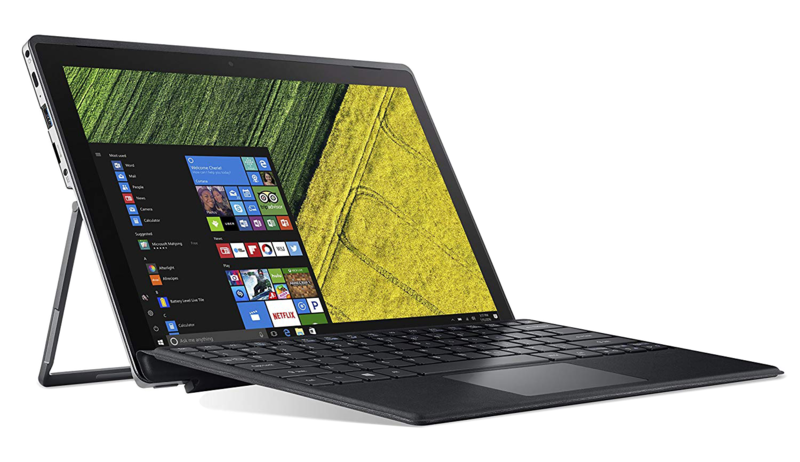 The Acer Switch 3 features an Intel Pentium N4200 Quad-Core Processor and a 12.2-inch full HD multi-touch display. The 4GB of RAM and 64 GB of internal storage should keep the average person satisfied. The Acer Active Pen is included, which is ideal for digital sketching. the Acer Active Pen is included in the purchase, unlike most other tablets with compatible pens. has a kickstand for ultimate portability, and it lets you choose the best angle up to 165 degrees. the detachable keyboard is there when you need it and is easily removable when you don’t. has a significantly shorter battery life than some of its competitors. For those that are interested in purchasing a tablet with a keyboard in 2018, we believe that the above three tablets with included keyboards are your best options. However, if you are interested in continuing your research on your own, following these simple tips in our buyer’s guide will help you to find the tablet that is right for you. Create a budget for yourself before you begin searching for a new tablet with a keyboard. Selecting a maximum amount of money that you are comfortable spending on the product before you begin looking can help you to narrow down your options right from the start. Once you have filtered through the tablets that fall outside of your selected price range, begin looking for features that are make-or-break deals. Which features are must-haves? By the same token, find features that will go unused and eliminate models that have them. This is a great way to help keep the cost of your investment low. Take a look at customer reviews from people who have already purchased the device that you are interested in. Be sure to review both positive and negative feedback in order to get a clear understanding about how you might enjoy or dislike the tablet. After our review, we believe that the Microsoft Surface Pro, Lenovo Miix 520, and Acer Switch 3 are the best tablets with keyboard that are available in 2018. For the power user, the Microsoft Surface Pro is the go-to tablet with its all-day battery life. The Lenovo Miix 520 is a great middle ground for productivity and play, and the Acer Switch 3 is a great tablet for digital sketching that won’t completely break the bank. 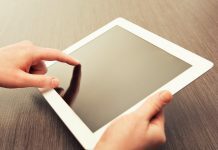 Although the newness of tablet computing has faded, the usability of these devices has not diminished, and in some cases, having a tablet rather than a traditional laptop is just simply easier since they are more compact. However, when purchasing a tablet computer, it would be wise to plan ahead as to how you will use it. 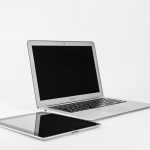 Are you planning to replace your laptop or desktop altogether for a more portable device, or will it act as a secondary machine when access to your primary computer is limited? There are many things to consider, as tablets are capable of helping you achieve many things, but no matter what you need to get done, the Microsoft Surface Pro, Lenovo Miix 520, and Acer Switch 3 are the best models of modern tablets with keyboards that are available to you in 2018.